This is our handsome Richard. He has always been cute as a button but now he’s growing into a young man with Hollywood-caliber good looks! He is much more than a pretty face though. Richard has one of the kindest hearts to be found and is always patient with anyone he interacts with. He is quiet, mature, and very disciplined. He works extremely hard in school and never complains. That’s something for a boy his age! He has a sharp mind and is known for being able to think on his feet. Richard has a favorite table tennis player and he longs to grow up to play just like him. But even more, he wants to be part of a forever family who will love him, support him and help him reach his full potential. 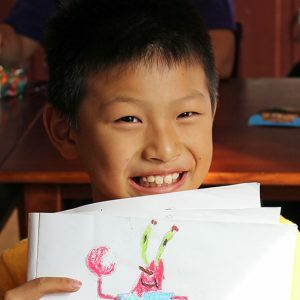 Richard will turn 13 in May, and then when he turns 14, he’ll no longer be eligible for adoption under China’s adoption laws. You can help us in our mission to find Richard’s Forever Family by sharing his story and photos today! For more information about Richard, please contact us.